Zombie apocalypse books have been all the rage of late. The Walking Dead, World War Z, Under a Graveyard Sky and a whole host of other novels have shown us what to do when the undead hoardes appear: kill it with fire. But what are we to do when the hoardes aren't undead? What do we do when the newest predator is just as smart, and just as alive, as us? 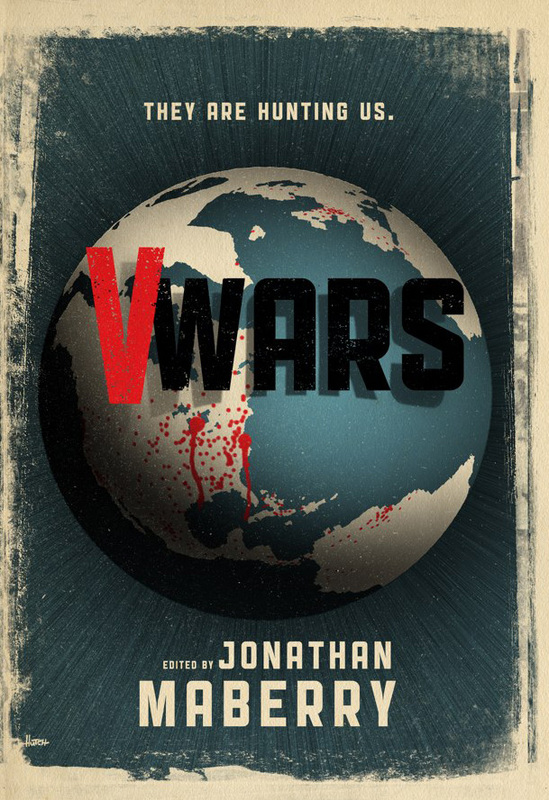 V Wars, edited by Jonathan Maberry, gives us just that situation. While working far, far North, two separate groups of people are exposed to the I1V1 virus from the melting polar caps. And thanks to globalization, and the wonderful virus breeding grounds that are airplanes, the virus quickly spreads around the world. Ostensibly America's Patient Zero, Michael Fayne just got back from a wonderfully icy movie shoot in the wonderfully icy locale of Point Barrow, Alaska. Only a stone's throw from the North Pole, Fayne isn't surprised in the least when he gets sick upon arrival back to New York City. But the bills won't pay themselves, and neither will the paycheck from his SyFy Original Movie, so he hauls himself in to his part-time barista job. A series of blackouts culminates in a date gone terribly wrong, and he finds himself in NYPD's 6th Precinct, being interviewed by a very strange man. Mooney Lopez knew that monsters roam on two legs long before the V-Event. An orphan on an Indian reservation in the American Southwest, no family came forward to take her in, so she lives with a foster mother she calls Mother Gaso. Raped at 17, Mother Gaso sends her on a trip to NYC to get away and find herself, but she comes back with more than she bargained for. Ruksana Vulpes of Bucharest was one of the scientists studying glaciers in the Antarctic. With a lifelong love of mountain climbing, she and her partners have no problem rappelling down a glacier that has just calved, getting samples of ice that hasn't seen the light of day in millennia. As she and another member of her team are sampling, a moment of carelessness leads to an eruption of thawed sediment landing on the both of them. Hugues 'Big Charlie' Charles is the District Attorney of the Bronx. Credited with dramatically decreasing the crime rate in his part of the city, he seems like a shoe-in for the upcoming Primaries. But it's not in Big Charlie's personality to hide anything from his constituents: in the run-up to voting day, he announces that he's been infected with the I1V1 virus. These are just a few of the stories in V Wars. 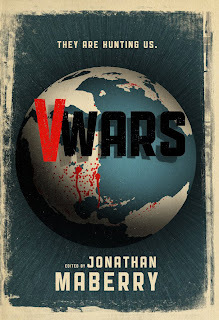 With the overarching world of a virus activating the 'junk' DNA in its victims, and each region of the world having its own vampire lore, the authors have a wealth of tales to pull from. From Chinese hopping vampires, to Native American rattlesnake-based vampires, to Eastern European vampire-hunting beings, the huge variety of creatures available to pull from makes this anthology truly fascinating.